How to Recover Video Files? Support recovery of various video file formats like MP4, MPEG, AVI, MOV, 3GP, WMV, etc. 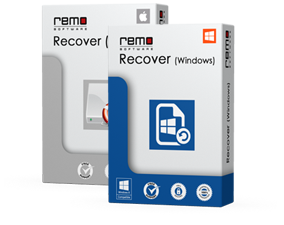 Recover deleted videos from Recycle Bin, SD card, hard drive, memory card, SDHC, memory stick, camcorders, iPod, flash memory card etc. Don't you panic, if you have accidentally deleted your favorite video clip or lost vital videos due to some unknown reason. Because still you have a chance to retrieve and restore those videos files back. Fortunately, lost videos can be retrieved with "Video File Recovery Software". This software is powerful video recovery tool which can recover videos from SD card, HD video, audio files, photo files and digital RAW image files very quickly. Retrieve video files that are deleted or lost during transfer from camera or mobile to your laptop or PC. Recover videos from Sony Handycam, Fuji Fine pix, Contour, Go Pro HD Helmet, Kodak ZX series, Samsung NX Series, Casio Ex series, Nikon Coolpix, Olympus C series, Panasonic, Apple iPhone 4S, 4, 3GS at your fingertips. Identifies and restore video file type including pictures or audios based on their unique signatures. Supports video recovery from FAT, HFSX, HFS+ & NTFS formatted partitions/drives. Helps to recover MP4 video, MOV videos, MPEG videos, AVI videos, WMV videos etc in few easy steps. Windows 10 Recover Deleted Videos. Copyright © Video File Recovery, All Rights Reserved - All other trademarks acknowledged Privacy.